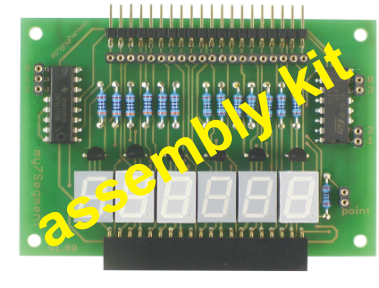 The 7-segment add-on is an extension module which you can connect directly via the standardized multi-pin connector of the myAVR boards. 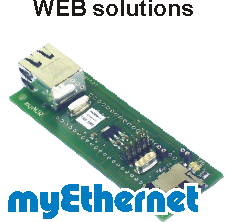 The controlling can happen via a myAVR board or a mySmartControl. 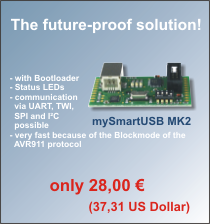 The extension with other add-ons from the myAVR series is also possible. 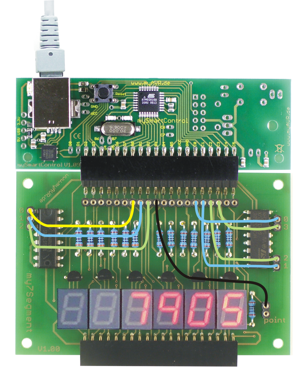 Every 7-segment display can display the figures 0 to 9. The add-on has 6 displays. 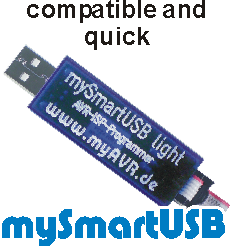 It is robust and verified to the myAVR series. For many examples usable, e.g.